This PDF 1.7 document has been generated by Microsoft® Word 2016, and has been sent on pdf-archive.com on 16/03/2018 at 07:27, from IP address 188.69.x.x. The current document download page has been viewed 246 times. File size: 237 KB (1 page). 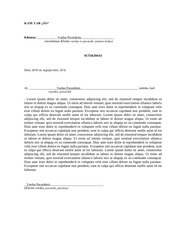 socialinės apsaugos ir darbo ministro 2012 m.
1 Išeitinė išmoka, netekto darbingumo kompensacija, dienpinigiai, butpinigiai, maistpinigiai ir kt. This file has been shared by a user of PDF Archive. Document ID: 00745645.